Come to find out, a Grade 3 ankle sprain can also cause me to not run. I physically could not run. The pain was not improving and swelling not going down. So of course, I waited until 3 days before the Silver Rush 50 to defer my registration. That cemented my plan to be Derek’s crew and help other running friends at the race instead. Me: So it’s not really a half marathon. Me: Yeah. It’s actually 15.2 miles. And there’s 4,000 feet of climbing. He rocked it! The following year, he said he wanted to do a marathon. 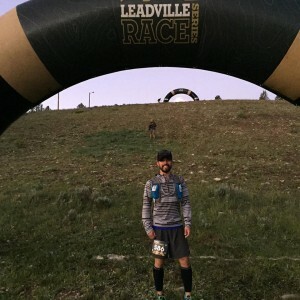 Me: You know Leadville has a marathon. Check. Marathon and even more elevation gain completed. We arrived in Leadville on Friday early afternoon. Our plan was staying at the legendary Leadville Hostel. Really, that place is awesome because of the community it fosters. 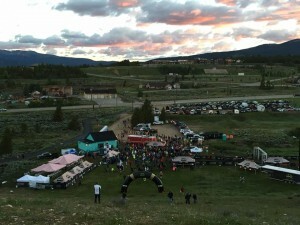 People from all over the world gathered in a mountain town for one goal: to see what they can do. 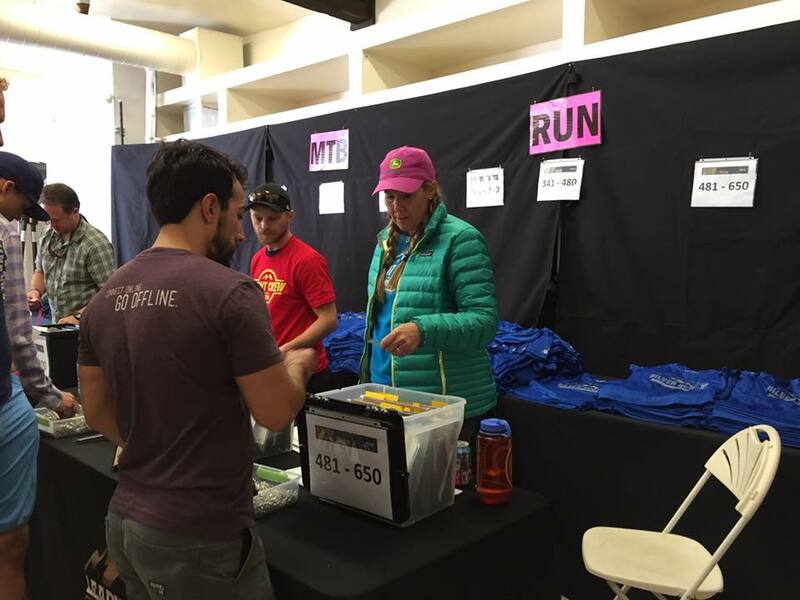 After dropping off some of our stuff, we headed over to packet pickup. Nothing too eventful … got the bib, shirt, and toured through the store. Late lunch and back to the hostel to kick up the feet. Or foot in my case. Derek wasn’t too interested in checking out the start of the bike race on Saturday morning. Probably a good plan for him to sleep in and be fully rested for Sunday. I on the other hand, had no responsibilities on Saturday whatsoever. 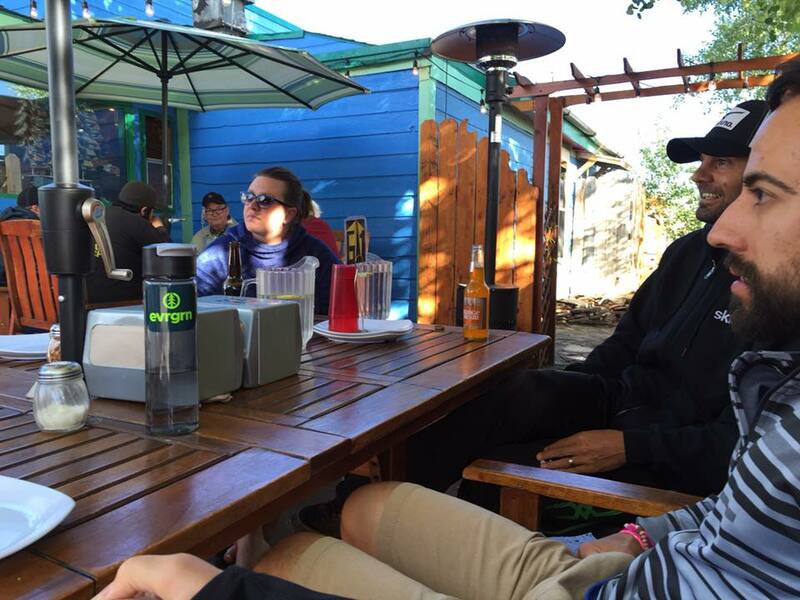 I headed down to the coffee place to catch up with Mitch and his daughter Kenzie. On race weekend, there is a non-stop line at the coffee shop. The wait is well worth it though! About an hour in, Derek sent me a text that he was awake. I said bye to Mitch and Kenzie and headed up to get Derek. Then back to the coffee shop for 2nd breakfast. I like coffee and I like eating. What can I say? From there, no plans the rest of the day until dinner. In fact, I felt like a nap already. I never knew being injured could make you so tired! 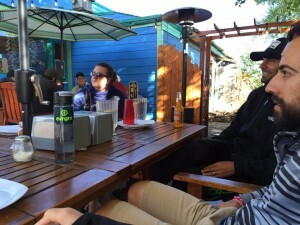 When dinner rolled around, we met up with Mitch, Kenzie, Terry, and Lenore for pizza at Mountain High Pies. Always awesome pizza! We were also joined by Mike Aish and his wife Nicole which was a pleasant surprise. Always great to catchup with runners and talk about not running related topics. Runners seem to have a diverse group of skills. Mike, when not winning ultramarathons, is building furniture, Mitch is coaching high school lacrosse, Terry is doing tricks on BMK bikes … it’s built into our nature to want to try new things. Done with dinner and time for more resting before a 4am wake-up call. Waking up was quiet. Heading outside at 5am in a mountain town is serene. You can see ever star in the sky, there’s rustling off in the distance, and very little movement. For a moment, life stops and you feel small in the universe. At the starting line, Derek and I talked about the first hill of the day he would climb. Oh, and the timing mat was actually at the top of the hill … so in some ways the hill doesn’t count. We spent the next 20 minutes taking photos and chatting with others. With 10 minutes until start, I decided to hobble to the top of the hill. That would give me the chance to capture the start of the runners racing up the hill. 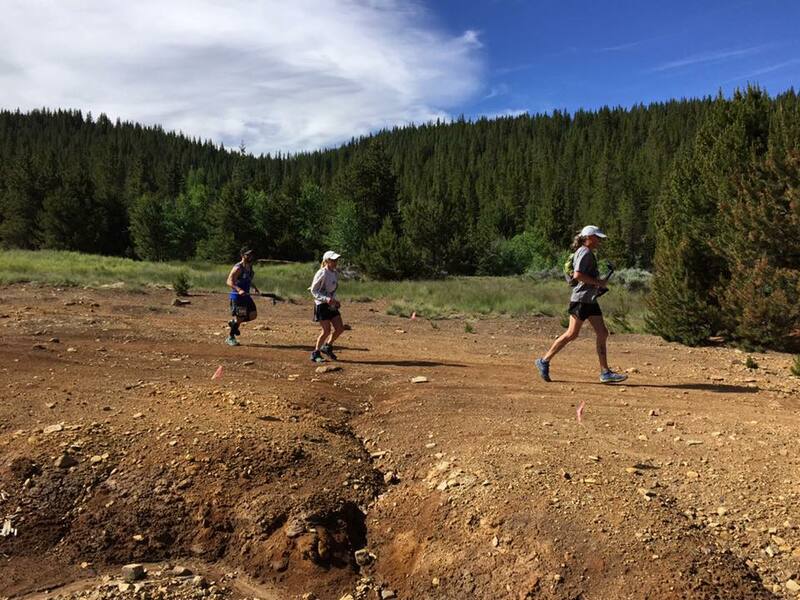 Well, 5 or 6 people would be racing as the first man and woman to the top get the opportunity to enter the 100 mile trail race a month later. Getting to the top first is part of it … you still have to finish the 50 miles on the day. Race Director Josh fires off a shotgun signaling the start. Up the hill the runners come! I didn’t see Derek go by, but knew he was in there somewhere. They headed over the timing mat and onto the trail. Now I have about 3 hours to get to the first crew access aid station. After I half hop maybe want to just roll down that hill. Yup, made the right choice to not be running today. I headed over to the coffee shop for a beverage and burrito. This crew thing is pretty relaxing. Well, still had a couple hours to kill, but decided to head to the aid station anyway and get a prime parking spot. Plus, I could hang out and read more of David Clark’s book. Once I parked, I stayed in the car for a bit as temps were around 41 degrees. Listened to music and read a little. Still, I want to run the 4 Desert Races … so if you want to sponsor me, I need about $25k. Thanks! It was great to talk to other crews about the course. After all, I had run this course 4 times, so I could provide some insight into what their family and friends were experiencing. Many friends ran by and I met them at the tables to see if they needed anything. Mostly I provided words of encouragement and that they were right where they needed to be. Keep moving forward … slow miles are better than no miles. About the time I was expecting, Derek came into site, I saw him coming down the road. I tried to jog in with him. That was dumb. It was as though my calves and hamstrings didn’t exist. Someone took them from me and I couldn’t move up and down. I think I hid my pain well and broke into decent power walk to follow him in. I had a chair setup of the items that we discussed he may want. There were already items he wasn’t interested in eating. 13.5 miles and 3k feet of climbing so far. Things can change though! He handed me his camelback and I pulled out the bladder. It was almost empty. Fantastic! I refilled it with our pre-mixed GU Brew while Derek headed over to the buffet. I encouraged he eat chips and pretzels. Grab some watermelon if feeling a bit dry. Drink, eat, run. In that order. 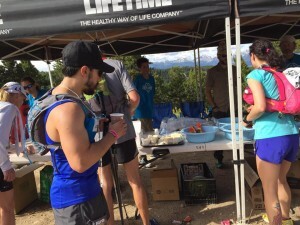 Part of crew’s job is to make sure the runner is fueled and positive, but another key is to make sure they don’t hang out at the aid station for long. Speaking from experience, it is easy to burn minutes there. Running for hours and then seeing family and friends bring comfort. I drove down the road knowing the course crossed at the bottom of the hill. I parked my car and headed over to the trail. Mitch came by so gave him lots of cheers and words of encouragement. Derek came by a few minutes later. Smiling and looking great! With Derek back on the trails, I figured I had about 3 hours until I saw him again. Guess head back to the coffee shop for some caffeine and food. I had heard stories that it’s a bit of cluster driving into the turnaround. The road is very rocky and tight with the crowds of people driving to meet their runners. This probably goes without saying, but a Toyota Prius is not an off roading vehicle. It was slow-going as I listened to every sound scraping the vehicle below. I’m not well educated on vehicles, but I kept worrying some liquid may start pouring out of the bottom of my car. I’m in the small town Leadville, Colorado at 10,000 feet altitude on a Sunday afternoon. There are not a lot of tow trucks around. I setup my chair near the entrance of the turnaround area. 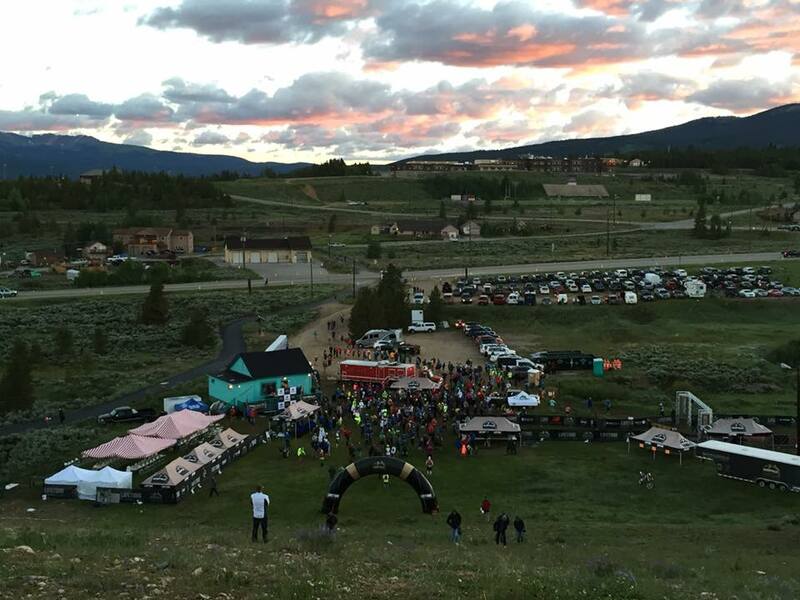 The course brings runners into the area, up over another hill, and into the aid station. They could have just run, stopped at the table, and then run back out. Nope, let’s toss in another climb just because it’s there. 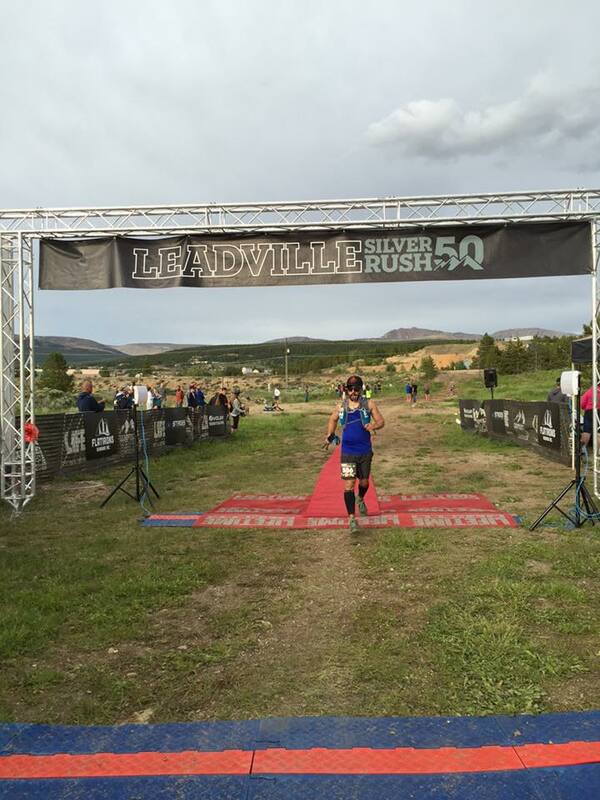 I love Leadville races! 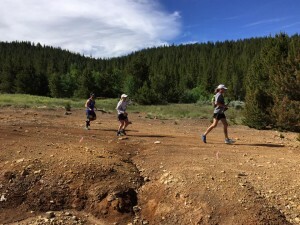 Whether on purpose or not, I ended up around the same group of crew members as the previous aid station. We chatted how things were still going well for all of our runners. Then we also confirmed that this was the aid station when runners generally looked like crap. They will have just climbed up Ball Mountain and descended its steep backside. Now, they know what is waiting for them. Runner friends one after another came jogging in. Most were hurting in some way, but still in good spirits. 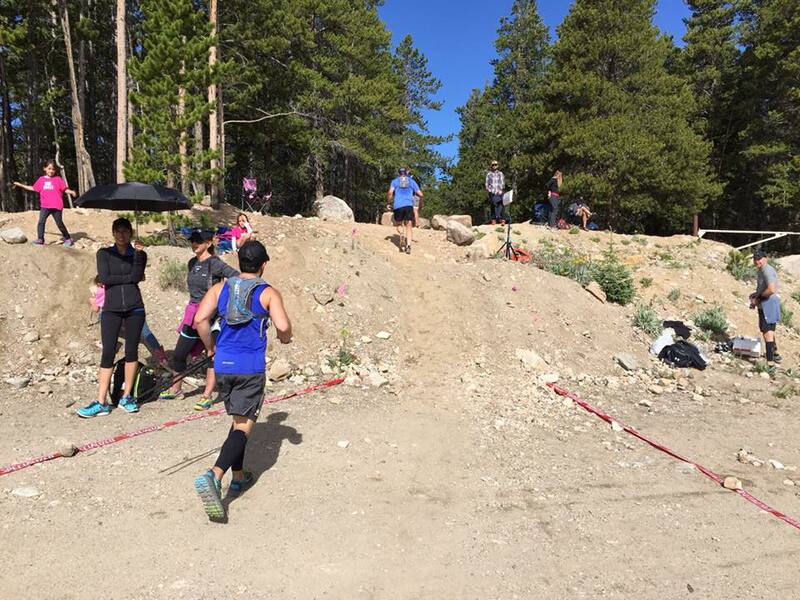 Many were able to get in and out of the aid station under 10 minutes. I was looking out for Derek in the distance. From where I was sitting, I could see about half a mile of the incoming trail. There was someone in blue with trek poles trotting this way. Still moving forward … excellent! It must have only been 2 minutes later because as I was finishing organizing the chair, Derek sprinted by me. Yes, sprinted. Like he saw a mountain lion and took off like a bat out of hell. Derek! Derek! What the hell are you doing?!?! He must have had his headphones blasting because he showed no sign of hearing me. As he rounded the corner, hit that bonus hill everyone gets to take. 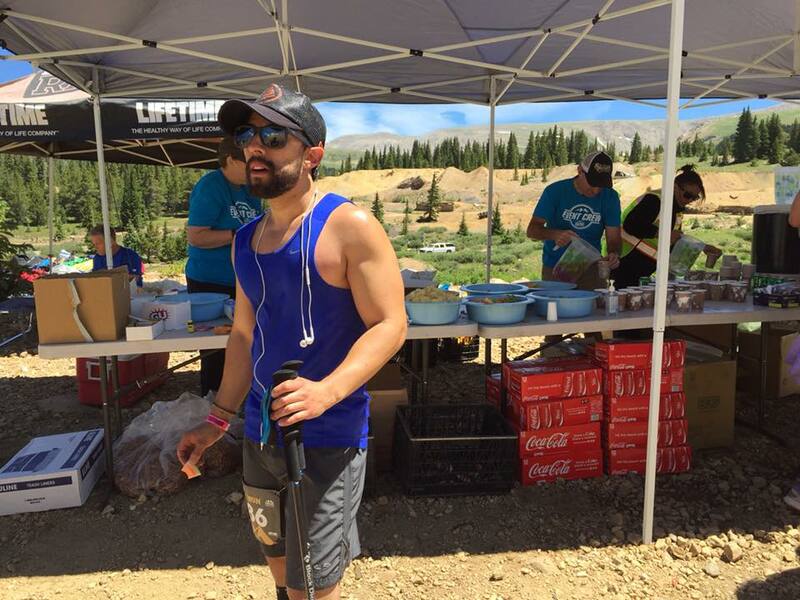 That gave me time to get up to the aid station table where he would end up. Holy crap my ankle felt that. I made it to the table as he started coming into sight around the corner. Me: Dude you blazed right past me! D: I had to run because I’ve been walking so much. My knee is killing me. Oops … maybe I made that comment too quickly. One of the awesome volunteers grabbed Derek’s camelback and filled it with Roctane. He grabbed watermelon and more chips. As I looked through his pouches, I noticed he wasn’t eating much of what he packed. Food wasn’t resonating with him. I get it, but the car needs fuel to keep moving. As we walked down the hill to where I had his stuff setup, he told me more about his knee. He wasn’t able to run downhills because it was locking up and painful. Me: Run when you can. The pain will go away. Me: Well, something else will start hurting and you’ll forget about your knee. Me: You’re all good and right on track! You have plenty of time so just keep moving forward! D: Alright! 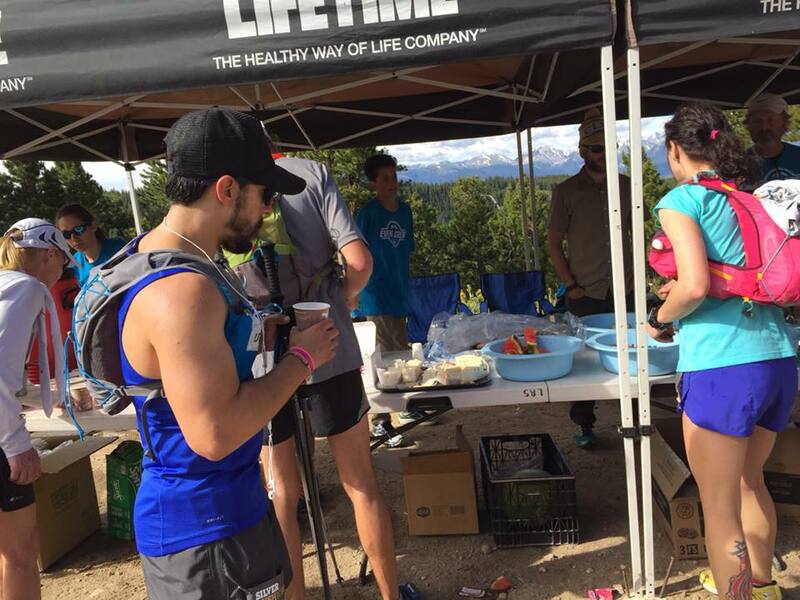 See you at the next aid station! Off he went slightly jogging down the trail. Me: Holy sh*t his knee is jacked up! Running is full of up and downs just like life. There are moments of pain and moments of joy … it’ll come and go. Kenzie and I chatted and decided we would head to the finish line to see Mike Aish win the race. 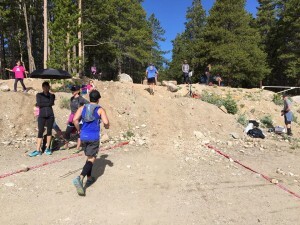 He was on track to beat the course record, so we would have plenty of time to see it and get to the next aid station. I got in my car and Kenzie headed to hers. Next thing I knew, Kenzie was running back towards my car. That was weird. K: Ummm … I locked my keys in the car. I got out and walked over to the car. They had a rental car (separate story) and I noticed on the side window was a number for roadside assistance. Oh by the way, there’s no cell service at the aid stations. I took a picture of the phone number and the tag next to it that looked like VIN. Back in the Prius and slowly, so as not to rip out the engine from underneath the car. As soon as she had 2 bars, she dialed the number. Eventually she got through to someone and started explaining the situation. After almost providing all the information, the call dropped. Crap. We kept driving towards the finish line as we knew there was cell reception there. Once she finally got someone back on the phone and finished providing all the info, all we could do is wait for a call back with a plan. So, we got out of the car to head to the finish line. Well, we were too late. Mike had the afterburners on today and beat the course record by 3 minutes! He was already in the car with his wife Nicole. Damn! We were able to see Tim finish 2nd about 9 minutes after which was cool. By the way, in the locked car was Mitch’s stuff he wanted at the last crew- access aid station. Skratch Labs drink mix, food, and specific water bottles. Kenzie was trying to figure out how to tell him without being killed. Phone rang. They were sending someone from Breckenridge and would be there in about 2 hours. That would be after Mitch came through the aid station. Time for next plan of finding more Skratch Labs. Fortunately, Mike’s wife Nicole works for Skratch. As we had hoped, she had some extra in the car and Mike had a bottle already mixed he didn’t use. Sounds like a great plan! 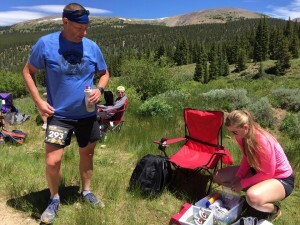 With that, we headed to the aid station … and Kenzie rehearsed her speech to dad that would be 32 miles into a mountain race. We hung out for just over an hour and made our way down the trail to catch a glimpse as they got close. I saw Mitch coming and Kenzie ran down the path. He was in good spirits as things were going exceptionally better than 2 years ago. Kenzie gave him the speech as she rehearsed. K: We have what you need, someone’s coming to take care of the car, everything is good. M: Okay. I’m not worried. You’ve got it. The guy was focused on finishing! About 15 minutes later, Derek came over the dirt and into the aid station. I noticed he went down the small dirt hill sideways. Knee wasn’t getting better. Got his camelback off and pulled out the bladder for the volunteer to fill with Roctane. Derek grabbed some soda, chips, and PBJ. Based on that, I knew I would find almost all the food I packed in there at the previous aid station. Looked in the pouches and they were full. D: I can’t run and barely can walk. My knee is locking up and downhill running isn’t working. Me: So this is a bad time to tell you it’s 3 miles uphill and then 10 miles mostly downhill to the finish line? Me: You have the time and can move forward until they tell you to stop. D: Okay. Not sure how it’s going to go. Me: and that’s the fun part! Time to send him off. This sendoff is a little harder just because of how far into the race it is. Now to head back towards town so that we can connect with the tow truck guy. Oh yeah, Kenzie’s phone had run out of battery because her charger was in the locked car. Before it died, she texted my phone number to the guy, so I had a voicemail as we got signal. The rescue was in town so we said we would meet him at the locked car. Back up the rocky road where the turnaround aid station was for the little Prius. This time, there was a noise. The plastic cover that protects underneath had the front part of it ripped off. Oh boy. Now the possibility of something being broken and leaking from underneath is becoming more of a reality. Once we got back up to the car, the tow truck was not there. No cell signal. So what do we do? Kenzie suggested leaving her there to wait for the truck. That didn’t seem safe as we didn’t know if the truck knew where to find it still. We decided to head down the road, even more slowly this time, until we had cell signal to call the tow truck guy. The signal was bad, so trying to figure who was where wasn’t working. We decided to meet with the pavement road turned to dirt. At that point, we both agreed the Prius should not make another trip up the rocky road. However, the truck they sent to help was huge. It was one of those trucks that had a flatbed on the back to carry a car. That would be interesting to see how it would get up the tight, curvy, very rocky road. After a conversation and convincing with the driver, he agreed to take Kenzie up to the car. She sent me back to the finish line to wait and assumed she wouldn’t be far behind. Almost 2 hours later, she made it to the finish line. Still, with keys locked in the trunk. Sigh. Appears if you break into a modern car, it disables all electronic buttons on the car. That means you can’t use the button to open the trunk and get the keys. A special locksmith would be needed. Off to the finish line and the waiting! Looking at the top of the hill, we saw Mitch coming. This was a moment of redemption for him. 2 years ago he missed the last aid station cutoff. 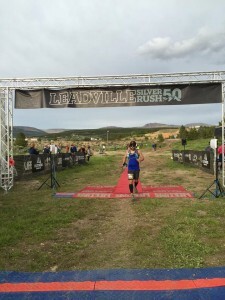 Now, he was finishing the 50 miles in Leadville that goes over 12,000 feet 4 times. Success! About 10 minutes later I look up the hill and see blue with trek poles. Derek is coming! As he made that last turn towards the finish line, I let out a yell of incredible excitement. I was so proud that he powered through and overcame. Derek crossed the finish line and talked about at mile 38 sitting on a rock because his knee stopped working. 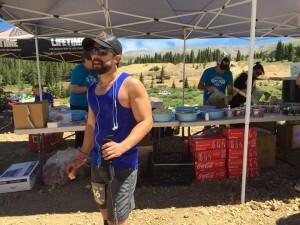 He told people to let the aid station know someone needed to come get him. The body had revolted. Then a passing runner offered him some Aleve. What the hell, he thought. 15 minutes later life came back to him. Pain started going away. He jumped up and started actual running! 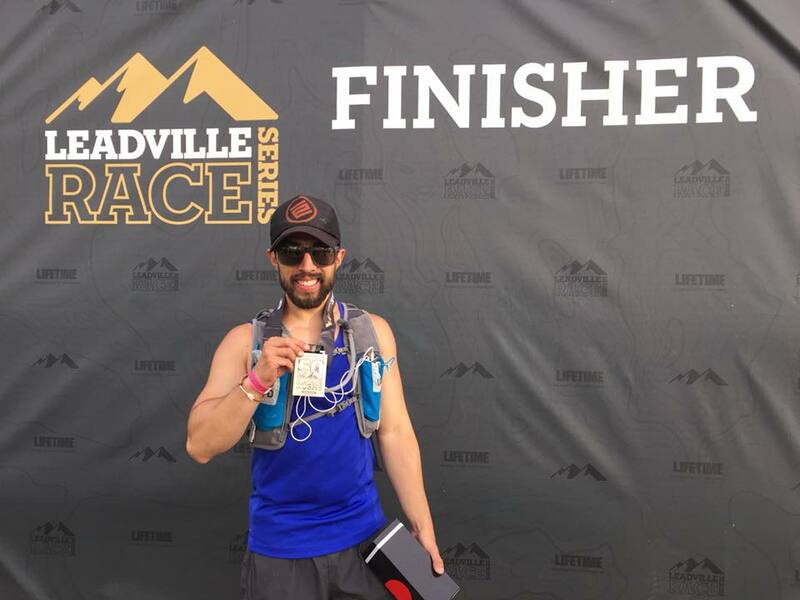 By the time he arrived at the last aid station 4 miles later, he had caught up to the runners he told to send help. From there, he put down the hammer and ran for the finish line. Unbelievable! As we sat at the finish line while he ate some food, I listened to more stories of the trail from him. I started to fill him in on my little adventure of the keys locked in the trunk. He was struggling a bit to eat. That’s normal … body is in survival mode and has things to do with its energy.